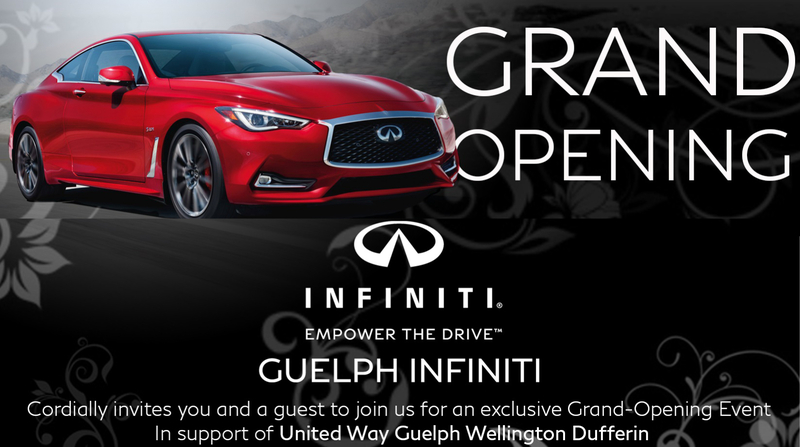 Home / News & Events / Campaign News / Join us for an exclusive evening! 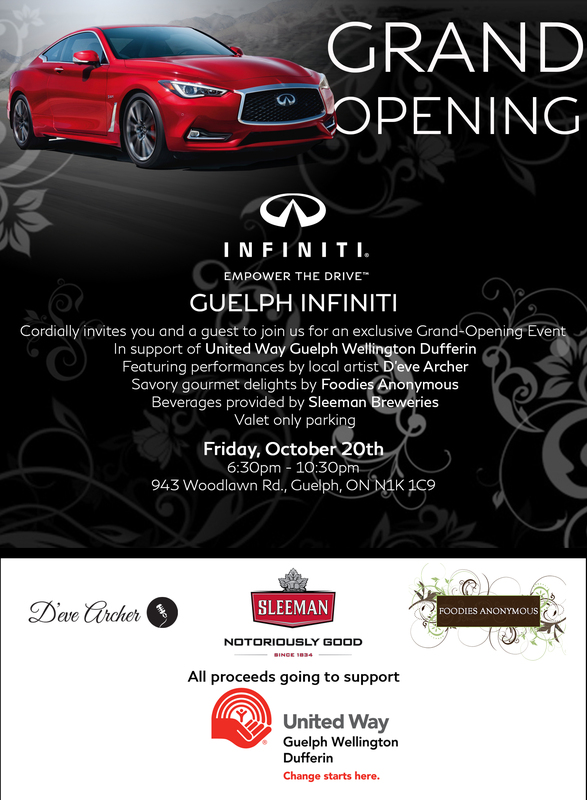 On Friday October 20th, Guelph Infiniti will host a unique and exclusive evening of entertainment, food and drink in support of our local community, featuring a performance by local artist D’eve Archer. 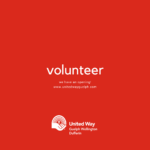 Proceeds from the evening will support United Way Guelph Wellington Dufferin. 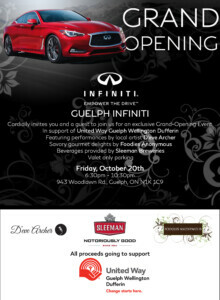 Tickets $100 each (includes food, drinks and entertainment). Limited number available!